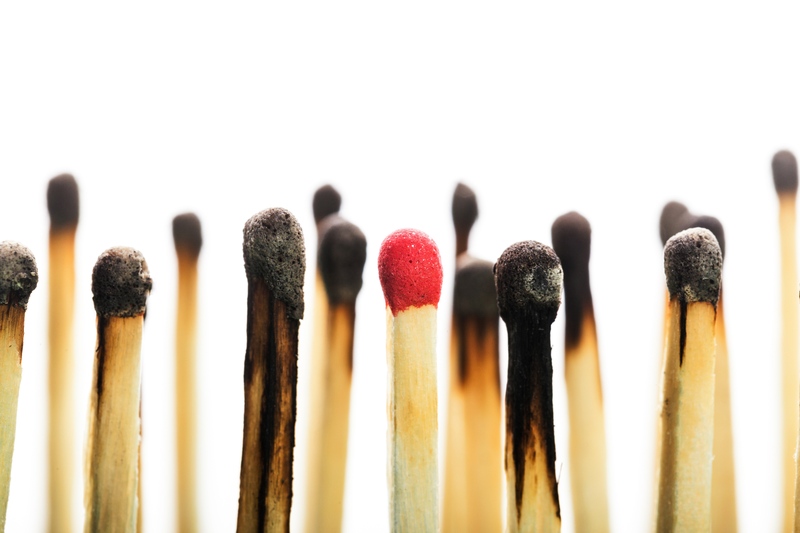 Some smart smoke detectors can determine the difference between slow burning versus fast burning fires as a result of improved sensors in the units. By being able to respond to slow burning fires better the smoke detectors are able to warn you ahead of time before things get very bad. Smart smoke detectors also have settings for silencing the alarm from your smart phone temporarily when it is only a burnt dinner causing the smoke as opposed to a real fire. The idea behind the temporary turn off is to prevent people from completely disconnecting smoke detectors due to their turning on every time something in the kitchen is burned. Some smart smoke detectors add additional features like Carbon Monoxide (CO), temperature, humidity and even indoor air quality monitoring all in one unit. These smart smoke detectors have the ability to network with each other and other smart home devices. By networking with other (usually same brand) smart smoke detectors all of them can go off at once in case of real fire ensuring people even in the remotest part of the home are alerted to a fire anywhere in the house. Also the ability to network with a smart thermostat allows for the ability to shut down the HVAC system in case of fire to prevent the spreading of smoke. Smart door locks allow you to lock and unlock doors with your smart phone or a key fob. Some smart locks allow you to setup virtual keys that can last one day, a couple of weeks or some other time interval you set so you can give temporary access to your home to guests, house cleaners, pet sitters and contractors. Virtual keys allow guests to come and go as they need with their smart phone without having to make a new set of keys and the worry of losing the spare keys. Some smart locks are accessed only via a smart phone whereas others allow for smart phone or numeric keypad access right at the lock. Taking network connectivity one step further one brand of smart lock can connect to your smart thermostat allowing the thermostat to be automatically set to “Away” setting (lower energy consumption) when you leave the house and lock the door and set to “Home” (temperature set to your comfort level) when you return. Smart sprinkler systems can help save you money when watering your landscape. Smart sprinkler systems can be programmed during to only water during the cooler and less sunny parts of the day where less evaporation will occur resulting in more water reaching your lawn or garden. Additionally some smart sprinkler system have built in weather analyzing software that allows them to water less or not at all on cooler or wetter days and to water more on hot and sunny days all without you having to change anything. With smart sprinkler systems you can customize the watering schedule to the type of lawn you have, the amount of sun exposure the lawn gets and more. Smart home security systems allow you to get real time updates on the status of your home. Depending on the amount of wiring and setup you have done, many of these systems can even tell you if certain doors are locked or unlocked, and whether the windows are open or closed. Some smart home security systems are capable of connecting to other compatible smart devices in your home where the security system control box will communicate with every smart device in your home. From lighting, temperature, sprinkler systems, smoke detectors and more imagine being able to get a complete status and control of your home systems on your computer or smart phone. Smart security cameras are probably the most popular smart home device sold. These cameras can either be always on, turn on when they detect motion or be turned on remotely with your smartphone or computer. The smart security cameras give you real time video of what is going on in your home giving you the opportunity to call the police in case what you see is not your cleaning person but instead an intruder. Smart thermostats control your central heating and cooling system and take the place of your traditional thermostat. Many smart thermostats have occupant sensors to help determine whether temperatures need to be. If the thermostat does not detect any people in the home it will automatically reduce the temperature setting during the cool seasons and raise the temperature setting during the warm seasons to help you save on energy bills. Some of the smart thermostats can automatically start the warm up or cool down cycle based on a schedule you set or one it learns based on the comings and goings of you and your family, as a result when you return home you return to a home that is just the right temperature for you. Ever drive off from your home and not remember whether you closed the garage door? If you are gone during the day it may or may not be ok to leave it open. 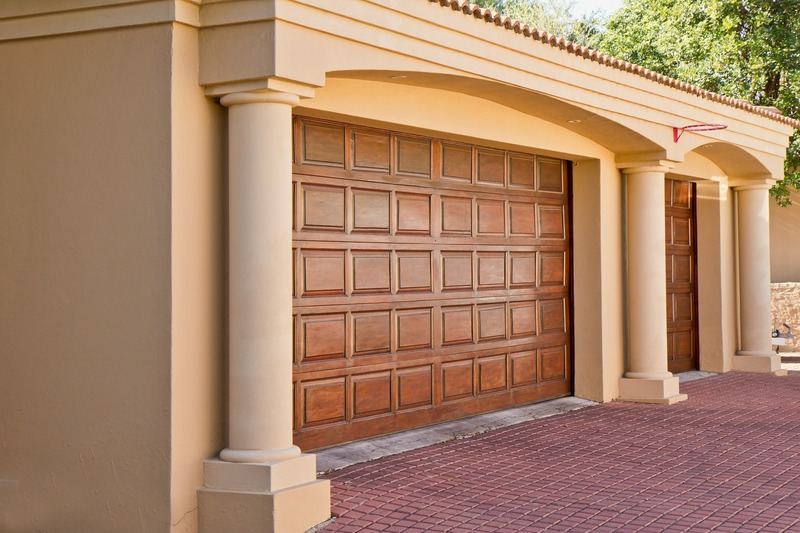 If you are already 30 minutes away from home traveling out of town on a long vacation leaving your garage door open for extended periods of time can be risky. Animals can take up residence in the garage, not to mention things getting taken out of your garage without your permission. Smart garage door openers can take care of that problem for you by notifying you whether your garage door is open or not. If the garage door is open you can send a remote command from your smart phone to close the garage door. You can also open the garage door remotely if you are expecting delivery of a large package and don’t want to leave it out in the rain or snow or to let guests or service people enter through your garage. With 19% of energy use being traced to lighting adding smart home lighting is a money saving thing to do. Certain types of smart home lighting can be controlled with smart phone apps that allow you to turn on and off lights and even allow you to change the color being output from certain bulbs. Other smart lighting systems include occupancy sensors which turn off after a certain amount of time once a person has left the room and outdoor lighting with photo sensors which turn off during day and turn on again when it is dark. The use of individual timers to make it look like someone is home while you are on vacation is no longer needed since with your smart phone and smart lighting the lights can be turned on or off from your phone or can even be programmed to turn off/on throughout the entire house. Smart appliances are equipped with features that allow them to connect with a smartphone and/or to adjust their operation based on the time of day and power demand in order to conserve energy during peak time periods. At this time there are a number of communication standards with no cross compatibility for these smart appliances so the chances of having different brand smart appliances communicate with other brands is unlikely. Instead the smart appliances you have today will be able to communicate with a smartphone and other appliances of the same brand only. Some of these smart appliances allow you to schedule when they turn on or turn off, or you can remotely turn them on if need be. Many also include diagnostic abilities in their smartphone app so you can troubleshoot any problems with your appliances. Any type of smart device that saves money through reducing energy consumption will help boost the value of your home and can be a big selling point for millennials. Smart devices that enhance security and convenience of the home also are great selling points when listing your home for sale. Many existing homes have very few smart home features that will stay with the home. By adding smart home features that the buyer can enjoy you set your home apart as more appealing than others that do not have those smart features. About the author: The above article “Smart Home Features That Can Improve The Value Of Your Home” was provided by Paul Sian. Paul can be reached at paul.sian@herrealtors.com or by phone at 513-560-8002. With over 10+ years experience, if you’re thinking of selling or buying, I would love to share my marketing knowledge and expertise.